Since January 2016, Netflix is the online video streaming service that has had a stranglehold on Singaporeans’ free time, with their extensive catalogue of the hottest TV shows, movies, and all their highly acclaimed original series. Think: Daredevil, Luke Cage, Narcos, Black Mirror, and their latest hit, The Crown. Plenty of people use their mobile phones to watch videos on-the-go, be it while in their daily commute, or just whenever it’s convenient to them. 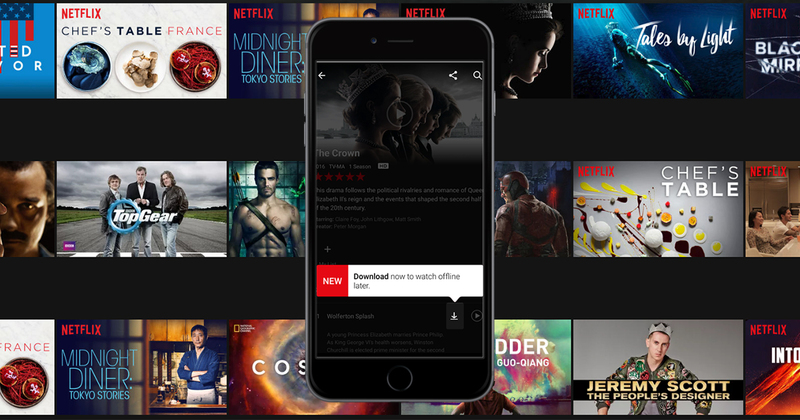 Earlier this year, Netflix introduced a feature that could potentially save you loads of data while streaming from your smartphone. Well, they just one upped themselves. 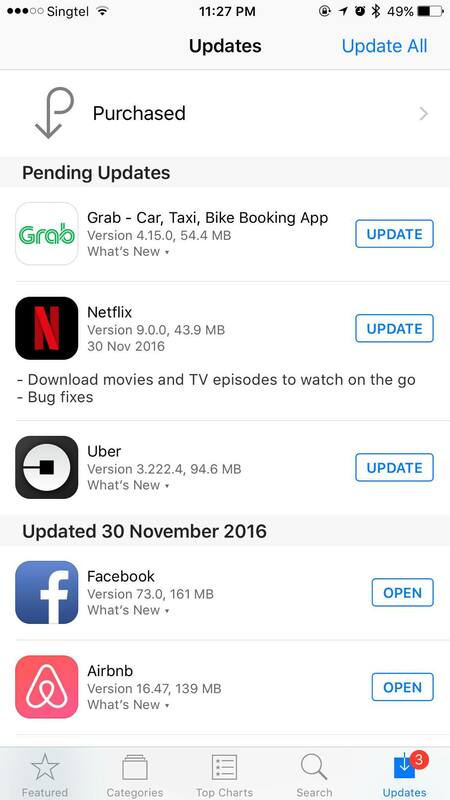 If you’ve checked your App or Play Store in the past 12 hours, you may have noticed a new update for the Netflix app. Click on it to see what will be updated, and the first point listed is something that everyone has been waiting for since the dawn of time. 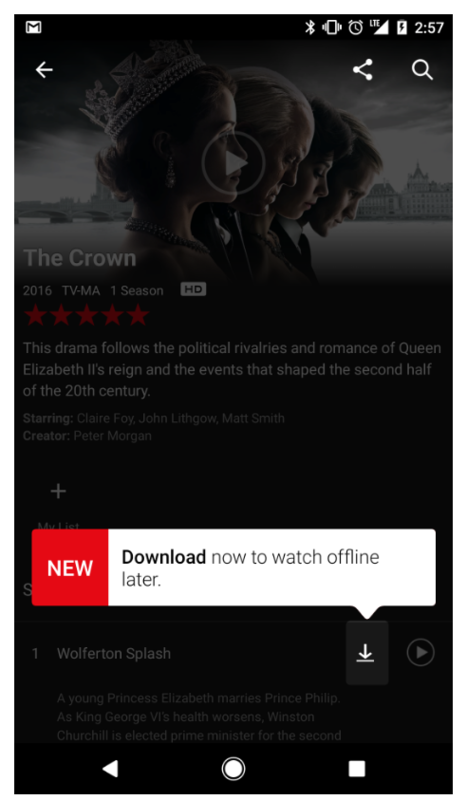 As of today, Netflix has rolled out a new feature that lets you download all your favourite shows for you to view everywhere, anywhere. How Do You Begin Downloading? Boot up Netflix, and you may notice this little down arrow icon now appearing beside the play button. If you see this, then congratulations! You are on your way to countless hours of the best Netflix series viewable without the need to stream it realtime. Netflix has even updated their FAQ with full instructions as to how you can go about downloading shows, as well as the nitty gritty details, such as hardware and software requirements which you will need to take note of. Just remember that you’ll need to have enough storage left on your phone’s memory. Netflix says that most shows that are currently out support the new download feature, so you can continue your binge of Stranger Things wherever you may be – in a train, bus or an airplane. So feel free to watch the shows in HD now, and say goodbye to watching them in lower quality like its 1999 because you don’t want your data plan to burst.